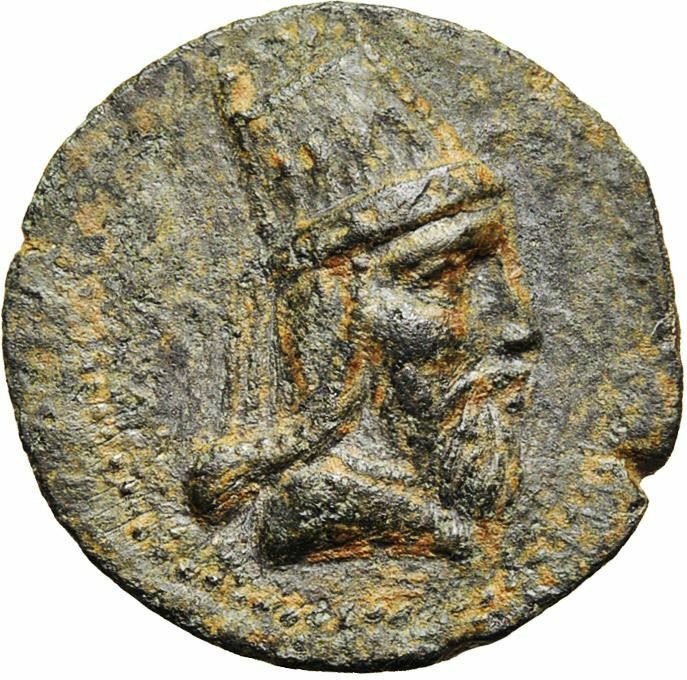 Tigranes IV was a Prince of the Kingdom of Armenia and member of the Artaxiad Dynasty who served as a Roman Client King of Armenia from 10 BC until 5 BC. He married his half-sister Erato in Hellenistic/Oriental fashion, and they ruled together. Although Tigranes IV and Erato were Roman Client Monarchs governing Armenia, they were both anti Roman and were not the choices of the Roman emperor Augustus for the Armenian throne, as their dual rule did not have Roman approval and they leaned towards Parthia for support. Roman Historian of the 4th century, Sextus Rufus informs us that anti-Roman sentiment was building in Armenia during the reign of Tigranes IV and Erato. Rufus also emphasizes that the Kingdom of Armenia was very strong during this period. Tigranes IV issued bronze coins with portraits of himself with Augustus with the inscription in Greek βασιλεύς μέγας νέος Τιγράνης (of great new king Tigranes), also issued coins shared by Erato with the inscription in Greek Έρατω βασιλέως Τιγράνου άδελφή (Erato, sister of King Tigranes).